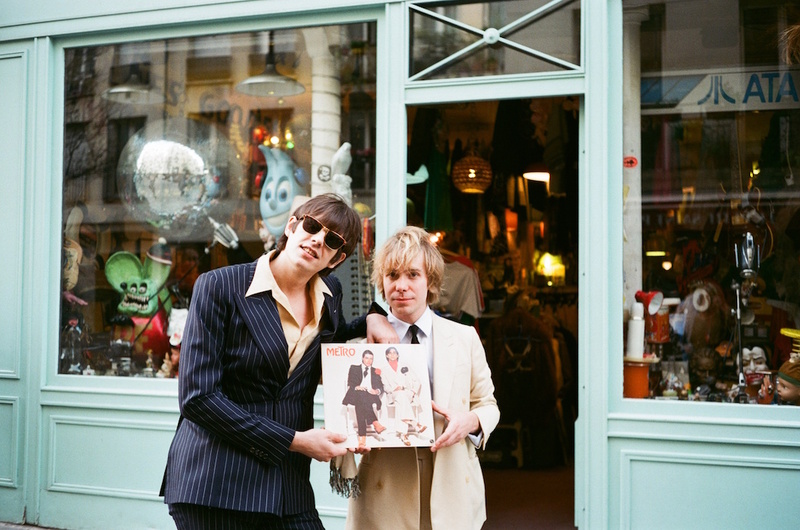 Papooz was born through long walks through the Luxembourg Gardens in Paris, with Armand Penicaut and Ulysse Cottin bunking off their studies at the Sorbonne. Through those conversations the pair constructed a unique pop vision, fuelled by disco, French Touch and tropical pop. New album 'Night Sketches' is out now, a journey into the seamier side of Parisian life replete with some filthy pop moments. Packing out a show at London's Scala last year through word of mouth, the pair return to London on April 9th for a show at Hackney venue Oslo. New video 'Theatrical State Of Mind' is a further journey into Papooz' world, featuring the band's partners, director/illustrator Victoria Lafaurie and actor/model Klara Kristin. An electrifying vision of French culture, the video dips into the past to offer something off piste, creative, and incredibly addictive.